Leading Norwegian container supplier Containertech delivers intelligent container solutions to major European customers primarily in the defence and construction sectors. The company and its employees have more than 50 years of experience with containers, swap-bodies and intelligent solutions for logistics and transport for users in Europe. Containertech is located in modern, owned premises in Gramveien 16 in Askim, just outside Oslo, Norway. The property is located in Ihlen industrial area with many craft industries in the immediate vicinity. The premises are modern and have a engineering workshop of about 700 m2 in which it is built a spray shop of 130 m3 with ventilation and heat-air drying. It also contains a traverse five ton crane that spans the whole workshop. Containertech’s comprehensive workshop facility means that it can design and produce containers to meet every client request. 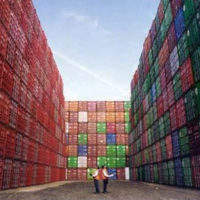 Working closely with clients, Containertech can provide a complete, turnkey service to ensure that containers. The land covers 8000m2 and offers enough storage capacity to our business. The executive director is certified by IICL for approval of ISO containers and has been in possession of this authorization since 1991, which is the second-longest in Europe. As early as World War II, armies began experimenting with using containers for shipment of supplies to war zones. Cargo was delayed at ports due to time required to load and offload ships. Armies were losing money because of pilferage and in-transit damage. 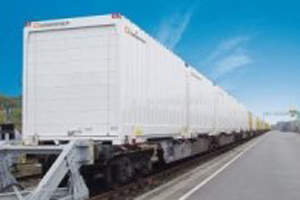 In 1948, pilot models were developed and the US Transportation Corps adopted the “Transporter, Household Goods, Shipboard,” commonly referred to as the “Transporter.” In late 1952, the Transportation Corps developed the Container Express (CONEX), replacing the “Transporter.” A shipment that normally took about 55 days to deliver was reduced to 27 days. The 20 foot long by 81/2 foot high by 8 foot wide ANSI and ISO container is the primary size container for unit equipment shipments. 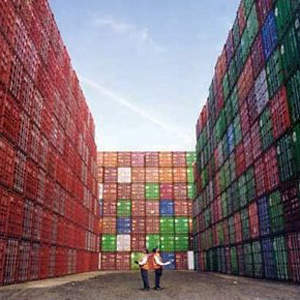 Larger containers may be used in contingency or mobilization operations. 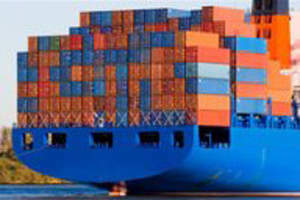 The ISO container is already a standardized part of the world’s commercialized shipping and transportation system and the 20′ size are mainly used in 90% of the applications. Containertech manufacture produces all models containers for military transport, from standardized 20ft containers, to custom-made, bespoke models. All Containertech products are certified to ISO 9000/2001 standards.